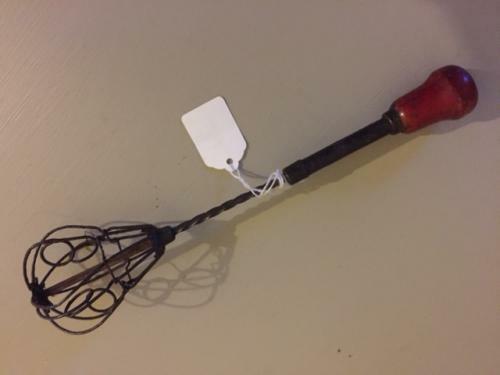 Vintage Push Whisk, original red painted handle and decorative wire head. Sprung loaded and working well. Whisks come in many different forms ad make excellent displays on kitchen walls!